In order to use the latest HS Mobile app, first visit the Play Store on Android or the App Store on iOS. You can use the buttons below to quickly find the app. Once HS Mobile is installed and opened, you will be prompted to enter your MyHS account name and password. If you do not already have an account, please view this guide, which will walk you through the process of setting that up. 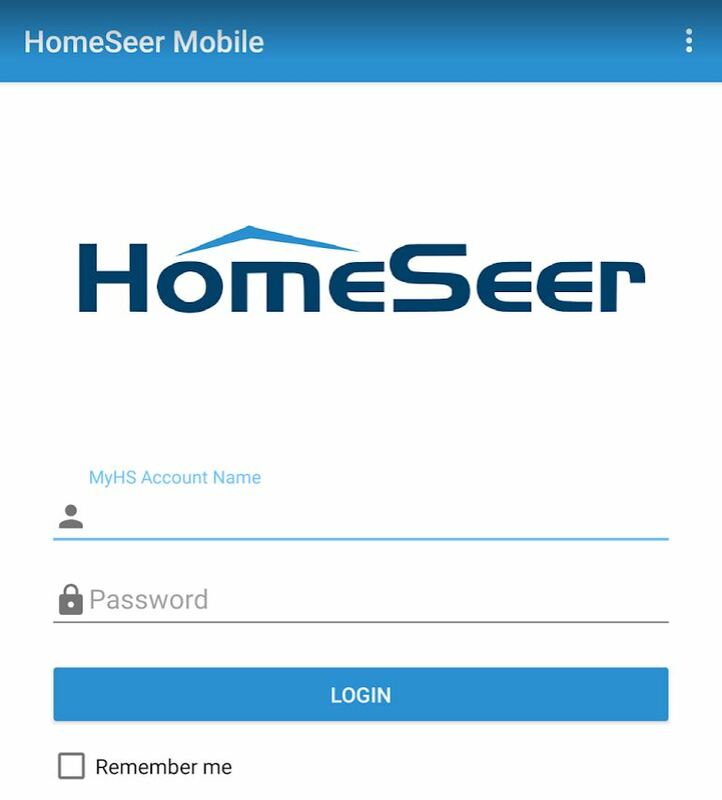 Once you have your account credentials, tap Log In, and you will be connected to your HomeSeer system. Select Remember me if you wish to have your credentials saved. If you have a premium MyHS subscription, you will see a list of your systems that you can connect to. If you would like to learn more about the Premium MyHS subscription, please click here.